This article is about cable television provider in the Philippines. For other uses, see Sky (disambiguation). Since it started community antenna television system operation in the Philippines on January 26, 1992, SkyCable provides cable Internet, VoIP services and digital cable TV service. Coverage of areas served by SkyCable in digital ready indicated in pink pog. Coverage of areas served by SkyCable in rest of regional areas that are remained analog in blue pog. On June 6, 1990, SkyCable Corporation was incorporated via 79.3% stake in Sky Vision Corporation, operator of cable brands, SkyCable and Sun Cable. On April 18, 1991, Sky Vision Corporation was incorporated and ventures into cable television (SkyCable and Sun Cable), communication, system, television media, shopping network (Sky Mall) and film distribution (Sky Jemah). It is owned 18.8% by ABS-CBN Corporation and 78% by Lopez Inc.
On March 30, 1995, Central CATV Inc. was granted a 28-year provisional franchise to establish, construct, maintain and operated community antenna television system in the Philippines through Republic Act 7969. In 1997, Sky Vision Corporation acquired 47% of Pilipino Cable Corp., operator of Sun Cable for P900 million. In 1997, SkyCable launches its first cable TV branded credit card in the Philippines, the SkyCard MasterCard with SolidBank and the SkyCard-Citibank MasterCard with Citibank N. A. In 2001, Benpress Holdings Inc. and Philippine Long Distance Telephone Company signed a master consolidation agreement for SkyCable Corporation to consolidate its interest. In July 2001, Unilink Communications Corp. operator of Home Cable, Philippines second largest cable TV company, merged its CATV operation to SkyCable and created Beyond Cable Inc. with an enterprise value of P14.5 billion. Beyond Cable Inc. controls 66.5% through Benpress Holdings Corp. and 33.5% through MediaQuest Holdings, Inc.
On December 7, 2001, Beyond Cable Holdings Inc. was incorporated. In April 2008, then ABS-CBN Broadcasting Corporation (now ABS-CBN Corporation), which owns about two-thirds of the equity of SkyCable, started consolidating the cable company’s fiscal result into its financial report including SkyCable’s general and administrative expenses or the GAEX. In May 2011, Singaporean firm Sampaquita Communications Pte. Ltd. acquired 40 percent of SkyCable through Philippine Depositary Receipts worth P3.612 billion and P250 million of convertible notes to fund the expansion of SkyCable’s broadband Internet and cable TV services. On May 11, 2012, SkyCable bought Destiny Cable Inc., Uni-Cable TV Inc. and Solid Broadband Corp.'s cable TV and broadband internet assets and subscribers with consolidating value of P3.497 billion. In order to be competitive in the cable TV industry, SkyCable adopts an alternative pricing model for its subscribers. It allows its subscribers to select their own packages or channels, comparable to a pay per channel service most generally used in the United States. SkyCable also introduces the package-pricing model typically used by other cable television providers in which channels are classified into packages. The SkyCable postpaid bundles are categorized into 10 clusters named as Select, Bronze 299, Bronze 399, Bronze 499, Silver HD, Gold HD, Postpaid HD (299, 549, 999, 1999) and a separate payment scheme for its Premium/Pay-Per-View. Select: It is a customizable plan that allows its subscribers to choose channels on top of their preset package. Select plan is available on existing subscription either from Bronze 299, 399 and 499, Silver HD, Gold HD or Postpaid HD (299, 549, 999 and 1999) plans and also requires a digital set-top boxes. Bronze 299 (formerly 280): SkyCable Bronze 299 package consists of 20 basic channels. But as of October 1, 2015, it no longer offered for new subscribers for Greater Manila Area (NCR - inc. CAMANAVA and Rizal), Cavite, Laguna, San Jose del Monte, Bulacan and Bacolod and status of current subscribers remained unchanged for said mentioned areas. However, it continues offered for new subscribers in the rest of remaining provincial areas (Cebu, Davao, Baguio, Iloilo, Gen. Santos and Dumaguete). Plus: SkyCable Plus package consists of 50 channels. No longer offered to new subscribers; status of current subscribers uncertain. Bronze 399: SkyCable Bronze 399 consists of more or less than 30 channels. Available only in most of regional areas with digital service. Recently, as of November 2014, the plan (or package) were currently expanded its service in Metro Manila and areas nearby. But as of October 1, 2015, it currently no longer offered for new subscribers. However, status of current subscribers remained unchanged. Bronze 499: SkyCable Bronze 499 package consists of more than 50 channels. But as of October 1, 2015, it currently no longer offered for new subscribers. However, status of current subscribers remained unchanged. Max: SkyCable Max package consists of 50 channels. No longer offered to new subscribers; status of current subscribers uncertain. Silver HD: SkyCable Silver HD package consists of more than 70 SD channels and 10 HD channels. Gold HD: SkyCable Gold HD package consists of more than 80 SD channels and 13 HD channels. Other packs: SkyCable consisted of five packages, namely, HBO Pak, Family Pack (formerly Metro Pack), FOX Pack, MBC Pack and the SBS Pack. The HBO Pak includes three additional HBO channels: HBO Hits, HBO Signature and HBO Family. The Family Pack is a combination of programs on current events, exploration, lifestyle, and flicks; and for the young ones. The FOX Pack contains nine additional FOX HD channels. In addition to its HBO, Family and FOX Packs, the MBC and SBS Pack offered MBC, a South Korean television and radio networks, particularly famous for its dramas and comedies; and SBS or the Seoul Broadcasting System is also a television and radio networks in South Korea offering contents such as drama, entertainment, documentary and animation programs and engaged in the exhibition, concert and other cultural businesses, respectively. MBC and SBS were removed on their respective packages and became premium channels on their own. Currently, HBO Pak, Family Pack and FOX Pack are the three packages can be add them into the basic subscription above. Chinese 499: SKYcable Chinese 499 package consists of primarily Chinese cable channels and few non-Chinese cable channels. Available only in Mega Manila. HD (All-In, Power Pack, Edge, Innovation, Revolution, HBO Premium, NBA Premium, ASN Premium): Currently, there are 8 HD packages available, the All-In includes (Discovery HD World, History HD, National Geographic Channel HD, HBO HD, NBA Premium TV HD, Fox Movies HD, Fox Crime HD, Fox sports 3 HD, HBO Hits HD, Fox HD, Fox Family Movies HD, FOX Life HD, ASN HD, Cartoon Network HD, Outdoor Channel HD and Fashion TV HD; the Power Pack (Innovation, Revolution and NBA Premium HD Pack); the Edge, consists of more than 50 standard-definition and 11 high-definition channels; the HD Innovation includes HBO HD, Discovery HD World, History HD; HD Revolution comprises, Fox Movies Premium HD, Fox Crime HD, National Geographic Channel HD, FOX Life HD, Fox HD, Fox Family Movies HD; the HBO Premium HD Pack consisting of HBO Pak, the NBA Premium HD Pack; the ASN Premium HD Pack and a separate payment scheme for PPV (pay-per-view) HD while ESPN HD and Freeview Channel HD will be an add-on channel to all HD packages. Premium/Pay-Per-View: Aside from different postpaid plans, SkyCable also offers premium subscription and pay-per-view scheme to its subscribers on top of their monthly subscription fee. Postpaid HD (formerly Dual Def): SkyCable Postpaid HD Package consists more SD channels and fewer HD channels. Whether may choose either Postpaid HD 299, 549 (formerly 499, but remained available in Gen. Santos and Dumaguete only), 999 & 1999 (Plan 1999 is only available in Mega Manila, Metro Cebu and Davao). SkyCable also offered prepaid packages to its cable TV service, the Silver Prepaid and Select Plus Prepaid. It was a prepaid cable TV service based on a non-recurring subscription scheme and allows non-postpaid customers to subscribe to selected channels and pay only for the desire duration of viewing and the service requires a digital addressable set-top box. The prepaid plans came in an array of card denomination to choose from that is suitable to its non-postpaid subscribers. Silver Prepaid and Select Plus Prepaid packages came in similar denomination: 3, 15 and 30 days. But as of around 2011 or 2012, it currently no longer offered for new subscribers and status of remaining subscribers remained uncertain. But recently, as of around 2015, the Prepaid service were relaunched and introduced Prepaid 99 and Prepaid 250, and each prepaid package/s valid within 30 days. It was offered initially available for Greater Manila Area and provinces nearby (Cavite and Laguna). 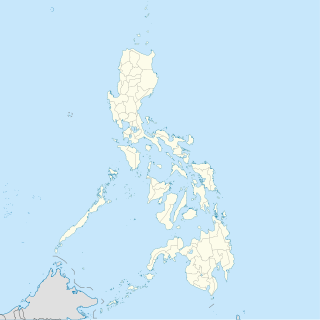 It was later expanded its service for regional system areas, first it was expanded for new subscribers in Cebu and Davao, then the rest of Visayan cities (Bacolod, Iloilo and Dumaguete) and lastly expanded in General Santos. In 4th Quarter In 2016 The Prepaid Plan Has Been Phase Out But However it still available for Loading Amounts. Prepaid 50: Consisted of 40 standard and 10 high definition cable channels valid for 3 days. Prepaid 99: Consisted of 29 standard and 4 high definition cable channels valid for 30 days. Prepaid 250: Consisted of 34 standard and 7 high definition cable channels valid for 30 days. Prepaid 450: Consisted of 40 standard and 10 high definition cable channels valid for 30 days. Silver Prepaid: Consisted of more than 70 channels. Select Plus Prepaid: Consisted of more than 60 channels. SkyCable coverage area for analog cable TV is available in selected areas in Metropolitan Manila and its suburb while its digital services covers key cities in the Philippines. It offers basic to premium cable TV services. In an ongoing exertion to battle cable piracy and averting illegitimate connections, SkyCable through SkyCable Digital adopts digital video broadcasting for cable or DVB-C. It is a standard for transmitting digital television signal over cable. SkyCable uses digital video compression or distribution through its digital addressable box or the Digibox, a digital set-top box that uses the DVB-C broadcast standard to give its subscribers access to its digital infrastructure. The Digibox provides an enhanced viewing experience with features such as crystal clear picture quality; allowing its users to customize its viewing preferences by organizing its channels and useful programming information by its real-time onscreen electronic program guide with highlights and synopsis of every program shown; and an in-house mail function for its technical and corporate announcements. One key feature of the Digibox is the parental control lock that can pre-select channels and set an automatic parental rating level that locks programs or channels. It also has built-in games, the classic Tetris and GoBang. First Generation (Black/Silver SD-First Edition): The CDVBC5120 (first edition) is a cable digital receiver used to decode digital program sdistributed by CATV or MMDS. Designed for operators who utilize Irdeto front end, the receiver supports Irdeto CA. The available S/P DIF digital audio output brings users excellent enjoyment. Other features are: powerful single chip LSI SC2005, DVB-C/MPEG2 compliant, multi-QAM demodulation selection over QAM16, QAM32, QAM64, QAM128 and QAM256, mail and message functionality and support for Finger Print Display with aspect ratio of 4:3 and 16:9 on PAL/NTSC resolution. Second Generation (Silver SD-Second Edition): The CDVBC5120 (second edition) is a compact standard definition digital receiver. designed for pay TV-terrestrial television operators based on the DVB-C EN300 429 demodulation standard. The product supports MPEG-1 and MPEG-2 Layer 1 and 2 for audio decoding on ISO/IEC 13818-3 while its video decoding uses the ISO/IEC 13818-2, MPEG-2 MP@Ml standard with an aspect ratio of 4:3 or 16:9 on PAL/NTSC resolution. It also uses the ISO/IEC 1381801 demultiplexer standard. Third Generation (Black SD): The N5166 is a low cost compact SD digital receiver, designed for both free-to-air and pay TV cable services based on the DVB-C EN300 429 demodulation standard. The product is based on ISO/IEC 13818-3 audio standards and supports MPEG-1 and MPEG-2 Layer 1 and 2 audio decoding. Its video decoding uses ISO/IEC 13818-2, MPEG-2 MP@Ml standard with an aspect ratio of 4:3 or 16:9 on PAL/NTSC/Auto resolution. It also uses the ISO/IEC 1381801 demultiplexer standard. Fourth Generation (White HD): The CDVBC-8750 HDTV provides standard and high definition reception based on the DVB-C EN300 429 demodulation standard using ISO/IEC 13818-1 demultiplexer. Its video decoding uses ISO/IEC 13818-2MP/HL, ISO/IEC 14496 with an aspect ratio of 4:3 or 16:9, and using a 1920x1980 video resolution while its audio uses ISO/IEC 13818-3, AAC, Dolby AC3 on MPEG1 Layer 1 and 2. Fifth Generation (Silver SD/HD PVR): is an advanced and full-featured SD/HD DVR digital receiver, optimized for pay-TV cable services. The product provides standard and high definition reception based on MPEG4 (H.264)/MPEG2 and DVB-C standards. With full suite of content protection facilities, it enables viewers to download premium, pay-TV content on its hard disk drive to watch at their convenience. It uses HDMI and cable components, with Dolby Digital sound and digital video broadcasting. SkyCable Digital’s Digibox conveys programming with encryption to alleviate signal piracy. It utilizes ISO/IEC 7816 smart cards, which transmit digital signals to the receiver to decrypt the programming for viewing. To fully consummate the Digibox, it uses Irdeto Access B.V. smart cards, which are ISO/IEC 7816 compliant. It is given to all subscribers with standard and high definition set-top boxes. The smart card stores the subscriber’s information and the plan to which they subscribe. On September 19, 2008, SkyCable initiated the pay-per-view broadcast of the 2008 Ryder Cup golf tournament in high-definition (HD). It is transmitted in 1080i resolution and paves the way for the Philippines to convey the first HD signal. In July 2009, Skycable also commenced a locally produced HD program through, Balls HD, the collegiate basketball tournament—University Athletic Association of the Philippines and the National Collegiate Athletic Association. At present, SkyCable offers over 20 HD channels accessible through separate payment. Lineup consists of RTM HD, ABS-CBN HD, ABS-CBN Sports + Action HD, ANC HD, Discovery Asia, Discovery HD, History HD, National Geographic HD, HBO HD, NBA Premium TV HD, Fox Movies HD, Fox Crime HD, FOX Life HD, Comedy Central HD, Fox Sports 3 HD, HBO Hits HD, Fox HD, MTV Live HD, Fox Family Movies HD, FOX Life HD, ASN HD, Cartoon Network HD, Outdoor Channel HD, Fashion TV HD, Freeview Channel HD, AXN HD, Disney Channel HD, Fox Sports HD, and the Fox Sports 2 HD. On December 8, 2010, SkyCable announced that it would launch a new service similar to U. S.-based TiVo for its high and standard definition services within the first quarter of 2011. Initially, the service will be called PVR or personal video recording, which has a 500GB internal hard drive enough to record 135 hours of cable programs in high definition or 217 hours for its standard definition service. Distinct from regular digital video recorders, the PVR uses the built-in electronic program guide that enables its subscribers which programs to be recorded. The new service will also feature Timeshift, a new way of recording programs to be viewed to at a time more opportune to its subscribers, and that would also allow recording of favorite programs on a time delay basis. Timeshift will also allow its subscribers or has the ability to pause live broadcast and in slow motion. On March 21, 2011, SkyCable launches its first personal video recording in the Philippines, the iRecord. It is an enhanced version of its digibox. It allows subscribers to record cable programs up to 145 hours in standard definition or 86 hours in high definition platform. It comes with a 320GB disk space. SkyCard, the first cable TV branded credit card in the Philippines. In June 1996, SkyCable in partnership with SolidBank Corporation through Solidcard Products Corp. launches the first cable TV branded credit card in the Philippines, the SkyCard MasterCard. A fully integrated credit card exclusive to its qualified subscribers. At the height of partnership, First Metro Investment Corp., a financing house of Metropolitan Bank and Trust Company is in talks with SolidBank Corp. for possible merger and acquisition. On June 1, 2000, First Metro Investment Corp. fully acquired the financial and non-real estate resources of SolidBank. And on September 22, 2000, First Metro Investment Corp. completed its acquisition of SolidBank Corp. and its subsidiaries AB Card and Solidcard Products corporations and launches its own brand, the Metrobank Value MasterCard. At the time of the merger, SkyCable through Sky Vision Corporation turned its financial facilities and transferred its SkyCard MasterCard accounts to Citibank N. A. and rebranded it to SkyCard-Citibank MasterCard. Months after it was launched, the SkyCard-Citibank MasterCard failed to reach its target market and eventually ended the partnership. In February 2003, GMA Network, Inc., operator of a close competitor to ABS-CBN filed a complaint against SkyCable for allegedly moving GMA Network from channel 12 without approval of the National Telecommunication Commission. Local authorities decided on April 25, 2003 that SkyCable violated the provisions of Memorandum Circular 4-08-88 and ordered to carry the free-to-air television signal on its system except when theoretically impracticable. It also ordered SkyCable to faithfully and strictly conforms with the requirements and to conclude from randomly changing channel assignments without notice and approval from local authorities. As a result, SkyCable filed a motion for reconsideration addressing the rule invalidate the means as it conflicts with a state law on intellectual property but local authorities denied the motion and directed SkyCable to comply with its previous decision. Consequently, the latter filed another appeal through an appellate court but still rejected their request and ordered them to conform to local authorities resolution. On January 1, 2008, Solar Entertainment pulled its 6 cable channels from SkyCable; namely Basketball TV, Solar Sports, ETC, 2nd Avenue, Jack TV and Crime/Suspense. The channels were replaced by 6 new channels owned by fellow subsidiary Creative Programs, Inc.; AXN Beyond, Balls, Fox Crime, KidsCo, Maxxx and Velvet. While vice president Juno Chuidian stated in a report to GMA News TV that the new channels were added because they would offer less "redundant" programming and feature more series that had never been aired in the country before, reports surfaced that the channels were pulled due to a dispute; ABS-CBN believed that Solar's lower fees for advertising on its channels were causing ABS-CBN to lose revenue. Solar Entertainment however, retaliated by expanding its partnership with the terrestrial broadcaster Radio Philippines Network; adding programming from its C/S cable channel to its primetime lineup, and using the channel as part of its successful bid against ABS-CBN for the next PBA broadcast contract. The Solar Entertainment owned channels returned to SkyCable in 2010. According to a blind article in a business column, Solar Entertainment pulled out again all of its channels in SkyCable beginning April 10, 2017 allegedly due to SkyCable's unpaid carriage fees for two of Solar's sports channels carrying NBA games: NBA Premium TV and Basketball TV. On October 16, 2018, all the Solar channels were restored. Due to programming costs, STAR TV pulled its plug over SkyCable while a negotiation was still in the offing. In May 1999, STAR TV decided to unilaterally cease its entire channel signal and demanded that SkyCable carry STAR Movies, STAR World, STAR Sports, ESPN, Viva Cinema, Channel V, STAR Movies Mandarin (now STAR Chinese Movies & STAR Legend Movies) and the National Geographic Channel (formerly NBC Asia) and asked the cable company to pay twice the amount from its original contract. As a result, SkyCable dropped STAR TV channels and its affiliates and launches Lifestyle Network. After three years of absence, SkyCable and its sister company, Home Cable relaunched the STAR TV lineup. On August 1, 1999, SkyCable axes AXN from its programming lineup due to low and poor content, and too much violence on its programming. In addition to various complains from its subscribers, no new programming lineup was offered by AXN. Consequently, SkyCable replaced AXN with a business channel, Bloomberg Television. In May 2000, AXN resumed its broadcast in SkyCable and offered AXN to its programming lineup as one of its exclusive channels. On March 14, 2011 local television network, TV5 through its parent company, ABC Development Corporation (now TV5 Network, Inc.) filed a complaint to the local National Telecommunications Commission against SkyCable. The latter accused SkyCable of unfair practice for refusing to carry its news channel, AksyonTV. Under NTC Memorandum Circular 4-08-88, all cable and satellite companies in the Philippines must carry all free-to-air local channels on its lineup. On April 1, 2011, SkyCable announced the inclusion of AksyonTV to its lineup effective May 4 on channel 61 which was being occupied by a religious channel, EWTN. However, on April 28, 2011, SkyCable said it would start airing the channel on April 30, four days earlier from its original pronouncement and it will only be available through its digital platform. ^ "Metrobank eyes lower profit, to absorb Solidbank". BusinessWorld. June 1, 2000. ^ "GMA Network upheld vs SkyCable". Manila Bulletin. October 9, 2008. ^ Macamay, Zean (2008-05-28). "Solar gets it". People's Journal. Retrieved 2008-06-02.